If you thought that employers were only interested in hiring full-time employees, think again. Businesses both large and small hire a vast amount of part-time workers to fill many positions. Interestingly enough, there are benefits to both workers and their employers when people work part-time. Here are just a handful of advantages. For a part-time employee, perhaps the greatest benefit is having a flexible schedule. Unlike their full-time counterparts, part-timers get to experience some serious work-life balance in the form of flex work. They can take care of their personal business while still being able to work in their position without penalty or having to take a day off. As anyone who has tried job hunting while still holding down a job will attest, it’s tricky to try to balance the two. When you have flexible work hours, you can create the career of your dreams. For example, you can take the time to invest in furthering your education, attend webinars to network, or even take online classes to score some new skills. 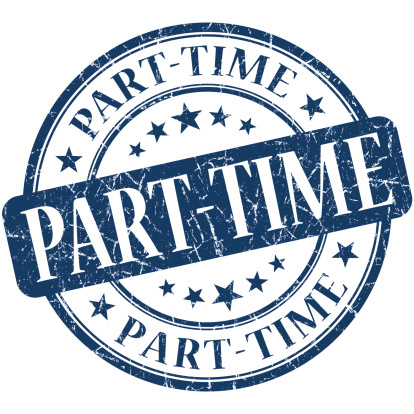 Part-time employees may be paid an hourly wage as opposed to a more costly salaried position. As such, employers can control how many hours their part-time employees work, which can help them save money over time. Employees are not the only ones who get to enjoy flexibility as a result of part-time work. For employers, not having to have every employee working a full schedule means that they can pick and choose the hours that they work in a way that works best for the company. Part-time positions are a very viable way to work. Working for a company should never be a full-time-or-nothing scenario. Working part-time can offer many advantages for you, as well as for your employer.